Tyre Boss is a premier tyre trader; sourcing and supplying cushion solid and specialist tyres for the waste recycling and scrap metals industry. We are the first point of contact for tyre dealers and end users, sourcing standard and specialised tyres for machines and capable of undertaking conversions. As well as supplying budget and premium OTR tyres and cushion solids, we can also supply tyres for the complete range of construction vehicles from wheeled excavators to telehandlers. 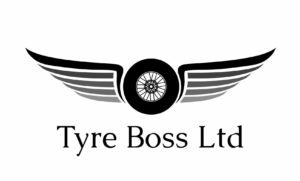 Tyre boss has a great network of contacts in the UK and Europe and can source tyres to desired specification and deliver efficiently to customers via its distribution arrangement with a large logistics company. Visit us on stand P6 at the Metals Recycling Event on the 11th and 12th July NAEC, Stoneleigh.